Selfie sticks have seen an increase in popularity in recent time. Photo credit: shutterstock.com. Planning a visit to Milan? Better plan to leave your selfie-sticks at home. 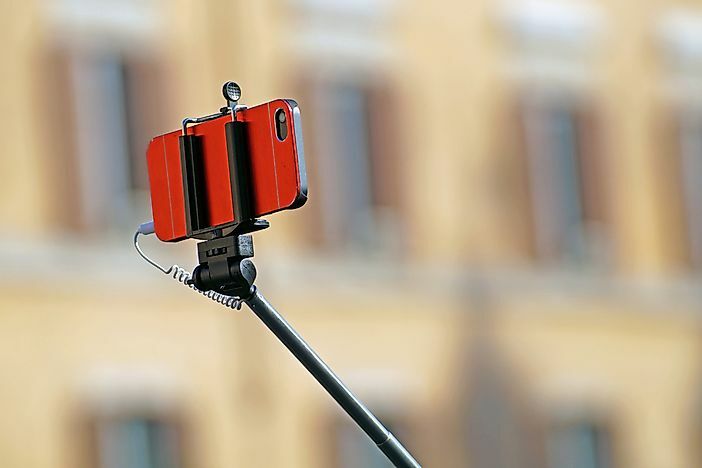 In a bid to curb littering and anti-social behavior, the authorities in Milan have introduced a ban on the use of selfie sticks and glass bottles in popular tourist attractions. Tourists and locals alike are strictly prohibited from handling any of the above-mentioned items, reports The Local. Food trucks and all kinds of “moving trade” have also been targeted in the summer rules which came into effect on July 14. The ban will be effective until August 13 after which it could be potentially extended. Fireworks and crackers have come under attack too. Milan is not the only Italian city to issue such bans over the summer months. In May, Florence decided to hose down the steps of its churches during the lunch hours to deter tourists from sitting on the steps to eat and drink. In Rome and Turin, late night sale of alcohol has been banned following the stampede in Turin during a football match where over 1,500 were injured. Although the cause of panic is yet to be elucidated, it is clear that a large number of injuries were caused by shards of glass from drinks bottles. The ban has however been criticized by bars that suffered a certain degree of loss in business. Fines and bans have also been imposed on eating and drinking around Rome’s iconic fountains. Tourists and locals caught disrespecting the ban will be subject to a fine of approximately $275. With these restrictions in place, the authorities in the Italian cities hope to protect the remarkable historical monuments, ensure cleanliness, and prevent anti-social activities.